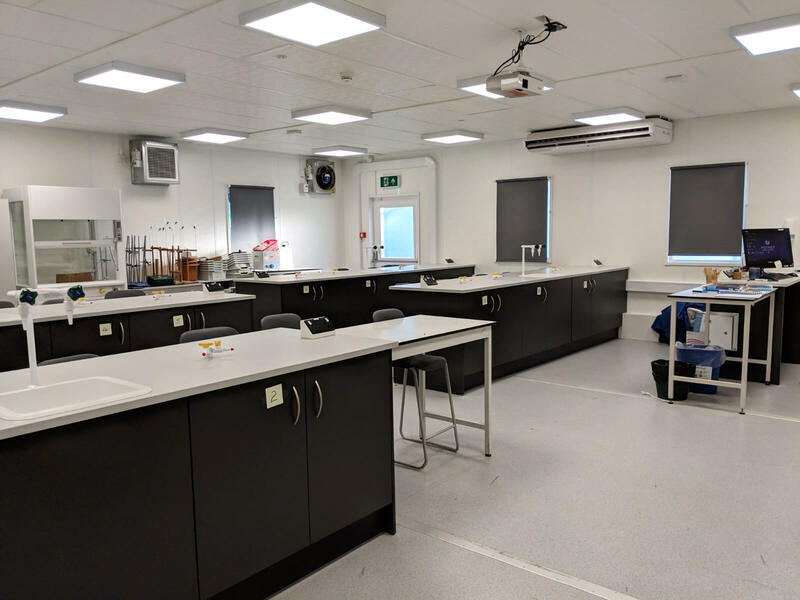 Putney High School appointed Pinnacle Furniture to supply and install Laboratory furniture for their temporary Science block. We were also commissioned to complete a legacy survey and to manage the move from their existing building. Putney High School is part of the Girls’ Day School Trust and was voted as a Top London Independent School in The Sunday Times ‘Parent Power’ Listings. 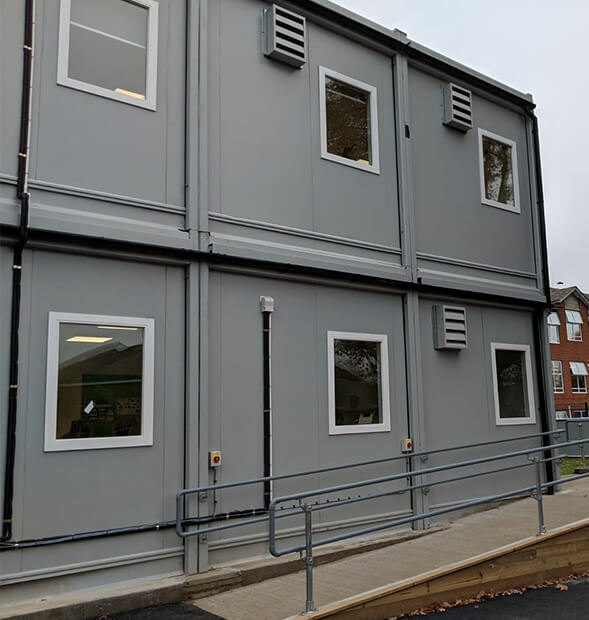 The School were planning to build a new Science, Drama, Music and Debating Centre which meant that they needed a temporary block on site to continue to facilitate lessons. 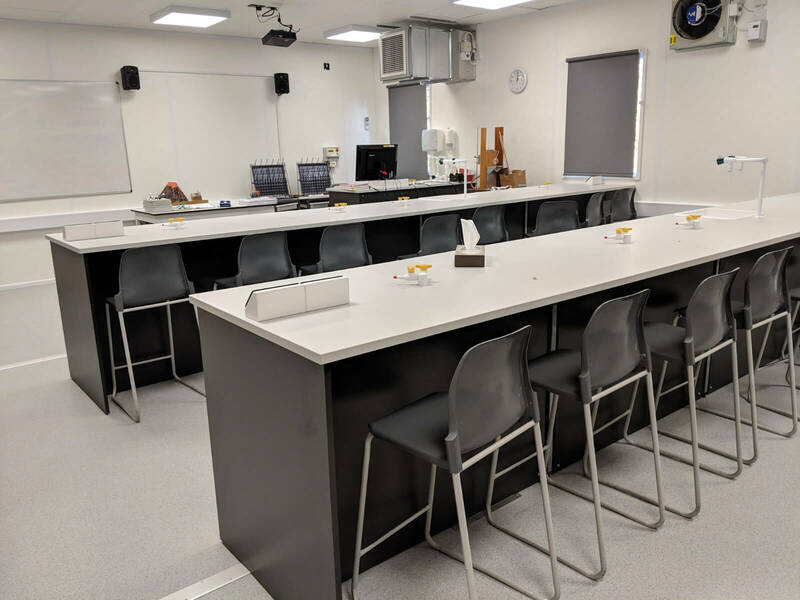 They approached Pinnacle Furniture to supply and install fixed laboratory furniture for their temporary 2-storey science block which consisted of three chemistry laboratories, four biology laboratories, one physics laboratory, three prep rooms, two staff rooms, one resistant materials room, and several store rooms and teaching rooms. 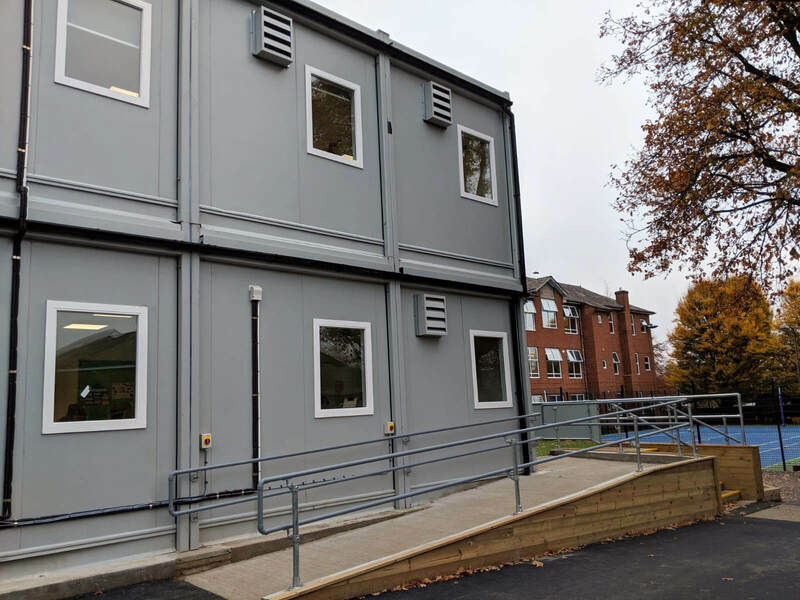 In addition, the School commissioned us to complete a legacy survey and manage the move from their existing building to the temporary block. Due to the construction of the building, the services could not be brought up through the floor so peninsular furniture had to be designed to bring services into each of the rooms. 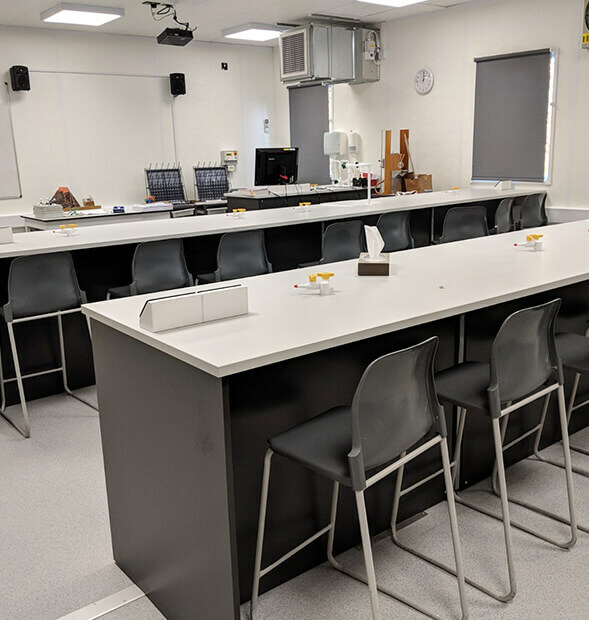 For the workstations, Pinnacle installed Capacity Storage units in graphite grey and added 25mm high pressure laminate worktops in a light grey finish. All services were integrated within the units such as gas taps, sinks and electrical power sockets. 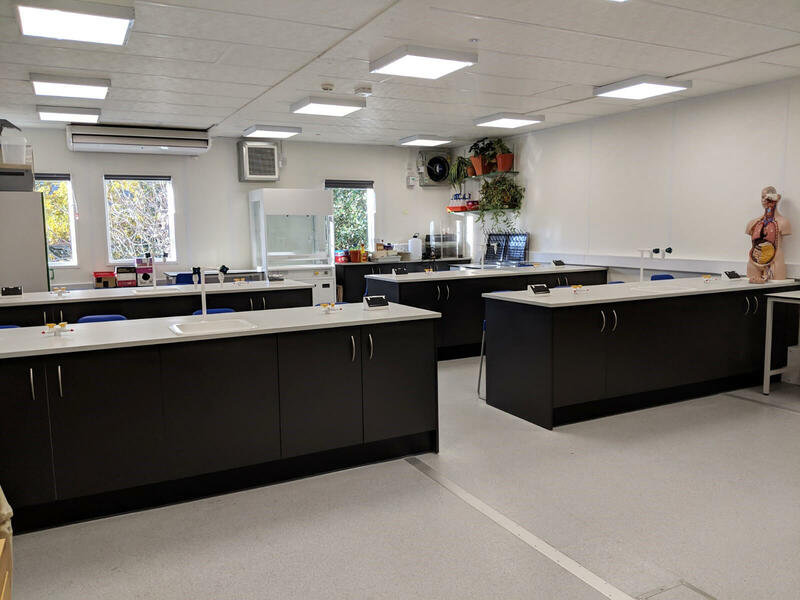 We supplied each laboratory with either a mobile fume cupboard or docking station. 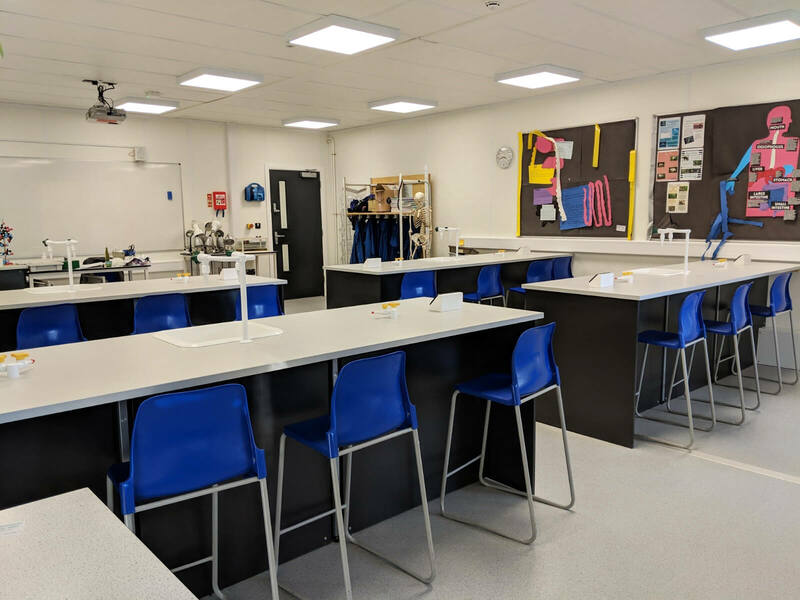 Pinnacle provided a selection of free-standing furniture including Myriad desks and cupboards, Merlin high-back operator chairs, Candy Gratnell tray units and classroom chairs.